Bernard Latini (baptized Philip) was born at Corleone in Sicily in the year 1605. He was a quarrelsome person in his youth and was prone to violence, but converted to a better way of life. 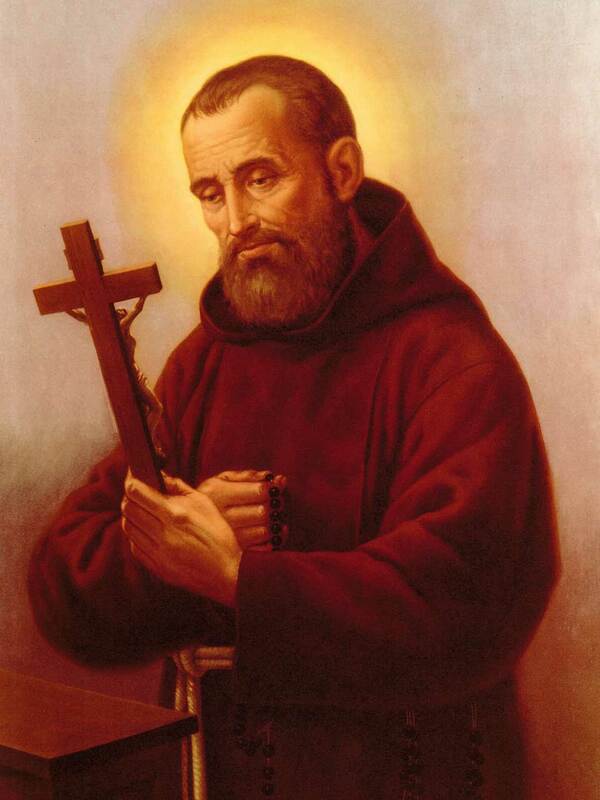 Bernard became a franciscan tertiary and dedicated himself to works of mercy in favor of the poor, sick and oppressed. Eventually, he sought admittance to the Capuchin Order, and distinguished himself for his commitment and religious fervor. Devoted entirely to God alone, he made every effort to become like Christ crucified through heroic love and genuine deeds of penance. After time, he even developed an unusual gift. He was able to cure animals by praying an "Our Father", then leading the animal around a crucifix three times to restore them to health. On his deathbead, Bernard was able to bequeath this ability on another friar. He died in 1667, and was beatified by Pope Clement XII on May 15, 1767. Pope John Paul II canonized him on June 10, 2001. God our Father, you have given us blessed Bernard as a wonderful example of penance and of Christian virtues. By the power of your Spirit make us firm in faith and effective in our work. We ask this through our Lord Jesus Christ, your Son, who lives and reigns with you and the Holy Spirit, one God, for ever and ever.